There is nothing quite like the smell of cat pee on your carpet to really put a damper on the day. While we don't want to admit it, life with pets leads to a few messes here and there. Cat pee can be such a hard odor to get rid of, especially on carpet! It also seems that once your cat has an accident on the carpet, that spot is going to become a frequent place for future accidents if not treated. My cat has had several accidents over the years. 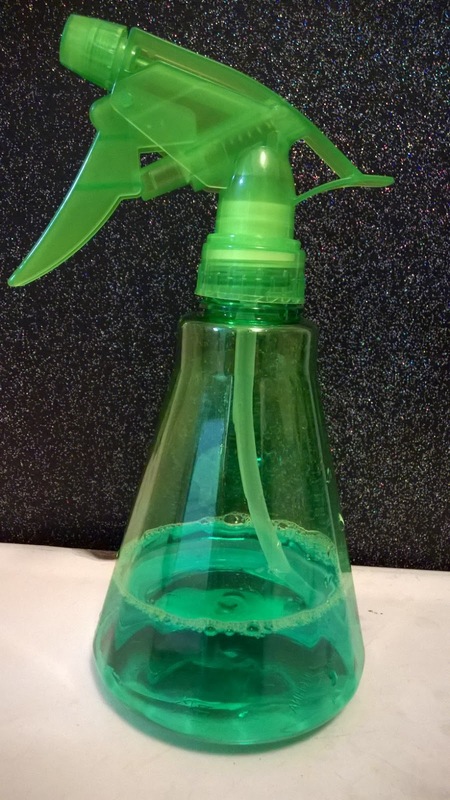 I have tried several methods to remove the odors and the germs! From specialty products sold in pet stores to natural remedies. I have had a variety of results as you can imagine. It seems that the products that work the best require the most work. Then one day, I had an idea and I tried it... Luckily it worked! I can't wait to share this easy DIY solution to pet odors that not only kills bacteria and germs but also has a pleasant smell! Best of all- this is a DIY solution for pet odors like cat pee that will only cost you $2 to create. You may already have all of the supplies on hand for a frugal and fast fix to pet accidents! The first step to take when your pet has an accident is to clean up as much of the urine as possible with paper towels. Blot it up as soon as possible until your paper towel is dry after blotting! This will make the job so much easier. If you have a newspaper around lay it on top of the area where the accident occurred. The newspaper will absorb some of the odor. Next, you need an empty spray bottle and mouthwash. Pour mouthwash into your clean and empty spray bottle. Simply spray this over the area that the accident occurred. Spray the area down until it is damp. And there you have it. 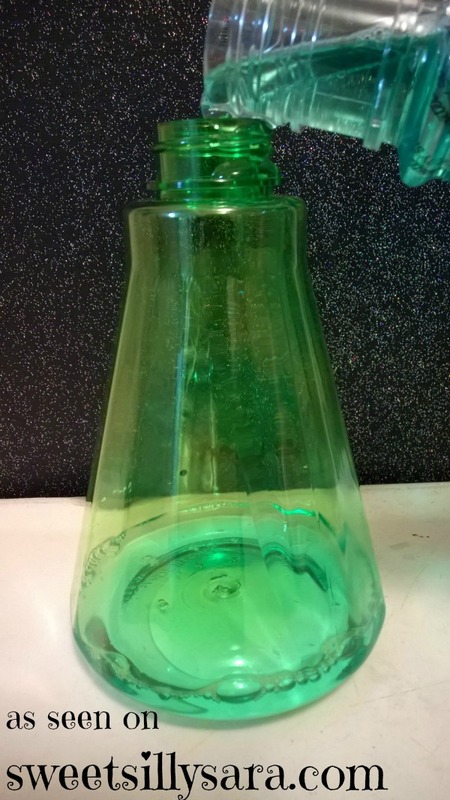 A simple DIY Cat Urine Remover that is super easy to make and use. 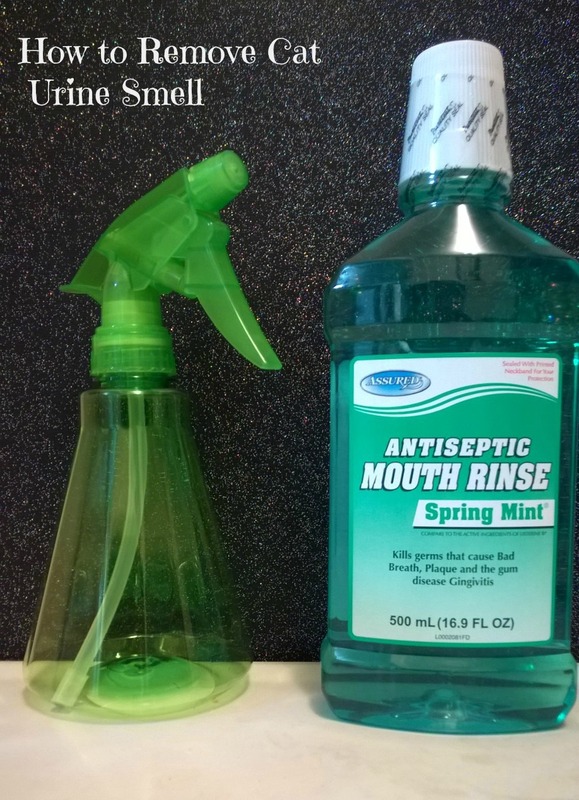 The mouthwash will kill bacteria and leave a pleasant smell. As you can see I used mint, because that is what my local Dollar Tree had in stock. How do you deal with the mess and smell when an accident happens? Won't it stain my light colored carpet green? Just don't let it sit long enough to dry. And there are mouthwashes that have little color.